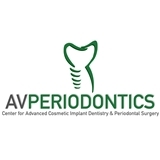 AVPeriodontics (New York) - Book Appointment Online! Dr. Alexander Volchonok’s passion is improving the periodontal health and smiles of his patients. Through his Ivy League training and community influence, he has become distinguished for his cutting edge and minimally-invasive treatment approach. Together, Dr. Volchonok and his team are honored to become your partners in achieving your oral health and cosmetic goals. The office staff are super friendly and personable, which probably is because Alex (Dr. Volchonok) is too. He is also very open, informative, and professional, and immediately makes you feel like he really cares (which isn't always the case in busy NYC). I feel lucky to have found him and highly recommend!